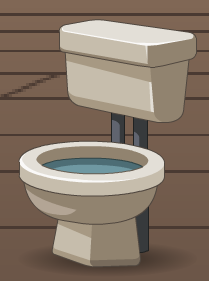 Description: A white ceramic toilet. Plunger not included. Note: Also see White Toilet (2).